How many prospects do I need to contact and connect on LinkedIn? How much will it cost me to include LinkedIn as a core channel in my marketing strategy? What does it means for my business in terms of revenue? What will be the Return On Investment over this? All this in matter of minutes, you just need to enter few numbers you feel resonate the question asked in regards to your business. Here is how it works? Excited? 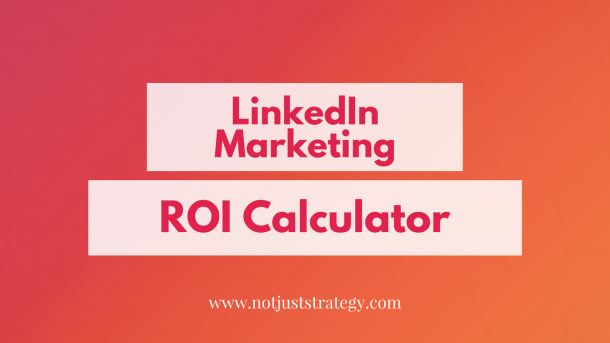 Wanna Calculate YOUR LinkedIn Marketing ROI? A lot is happening in my tine Facebook group and right now it is all about LinkedIn, and I would love to know more about you.